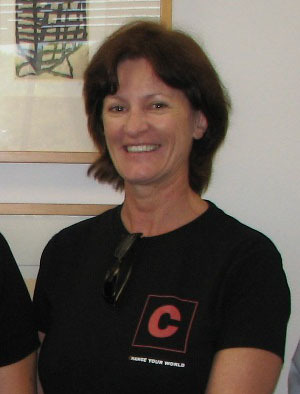 CDU's Head of the School of Education, Professor Alison Elliott is a key note speaker at the 2009 Early Childhood Education Conference in Melbourne. A Charles Darwin University education specialist is among the line-up of national and international speakers at the 2009 Early Childhood Education Conference which opened today in Melbourne. The Head of the School of Education at CDU, Professor Alison Elliott, is addressing more than 800 practitioners and parents at the two-day conference. Professor Elliott said this year’s conference was inspiring, engaging and bringing together the early childhood sector that collectively provided quality early childhood education for children. “It is time to commit to national professional standards and guidelines, professional training, and good salaries and working conditions in the hope of securing the quality of early childhood educators in the decades ahead,” Professor Elliott said. CEO of Kindergarten Parents Victoria, Meredith Carter said it was a time of great challenge for the sector. “There is now a real community focus on the social and economic importance of quality in early years education for children,” she said. Internationally renowned curriculum expert Dr Pam Schiller will also offer her perspective on a learning framework for the early years.